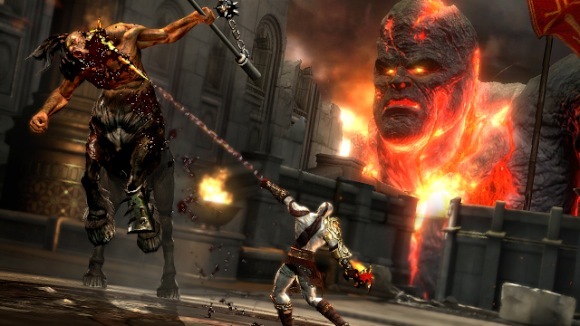 Gamescom 2010 – PS3 Trailers! What the hell is Gamescom anyway?? According to the wiki, it sounds like a European E3 of sorts that started a couple years ago. We probably posted stuff from it last year….can’t live in the past man! Haha, anyways, some new stuff on the PS3 front. Resistance 3 live action trailer. Hmmm. Taking a cue from those live action Halo spots are we?? Ehh, who cares. I’m in the ‘loooove Resistance 1’ camp, part 2….not so much(did I review that? I better jump on it). Hopefully 3 brings me back around. New Ratchet & Clank trailer. I love those games, I really do….the last game was awesome, it just doesn’t have that compelling aspect to make me wanna finish it right away. What I’m saying is that I wanna finish it before this comes out….and what I’m also saying is-*screech* ooh, 4-player online co-op! Another InFAMOUS 2 trailer, cool. The first game had some real promise, but janky battle/enemy design kept me from loving it. Let’s hope the sequel rights all the wrongs. August 18, 2010 Posted by richieraw | Normal Stuffs	| gamescom, gamescom 2010, infamous 2, Playstation 3, ps3, Ratchet and Clank, resistance, resistance 3, Sony, trailers | Comments Off on Gamescom 2010 – PS3 Trailers! If you anybody keeps up on the big boy game blogs like we do, yall would know that the Tokyo Game Show is going on right now. And as usual there’s some big announcements, while we probably won’t be going nuts on it the way we did for E3, there’s some cool things worth mentioning. –First, a special Final Fantasy XIII themed PS3 with a 250GB hard drive. Sure, the game is coming out for both the PS3 and Xbox360, but I think FF fans always associated the series with the Playstation brand, after FF7 of course. Shipping 12/17 in Japan, no word on if it’ll hit here stateside. –Motion Controller updates. Looks like it’s coming Spring 2010. Not only new games will be utilizing the new tech, but a bunch of older games will be patched with motion control enhancements. Games like Little Big Planet and Resident Evil 5 for example. If handled right, I think this can be a cool peripheral. While not the be all end all interface it is on the Wii, which I never thought was a good idea(and with the amount of time we put into the Wii, proves that correct), it does make for a cool option once in awhile. 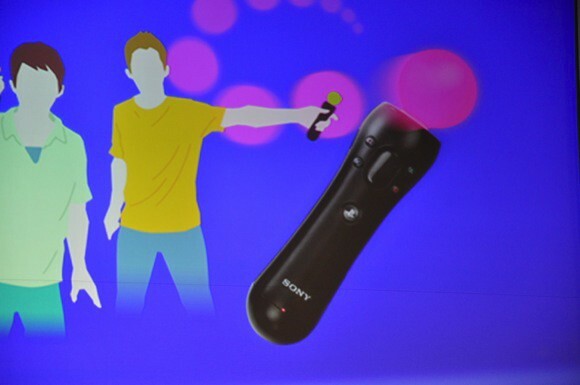 Not only do you have physical feedback(something that worries me about Natal), but in combination with the Playstation camera(Eye), the interface knows where you are in 3D space. It could lead to some unique gaming experiences….now let’s hope the price is right. In honor of these incredible games coming to the PS3 in updated form later this year, here’s how they stick out in my mind. I’m just gonna lump them together since it’s a continuing story and whatever can be said about part 1, can be said about part 2, obviously with bigger and better additions. Each one gets a 9/10 from me. The Bad – There’s not much I can really say in this category, but for review’s sake, I’ll nitpick a little. Quick time events, you either love em or hate em, or like me, don’t mind much as long as they don’t get in the way. As mentioned, GoW has em. Difficulty isn’t an issue, if it is, the game takes note and offers to go to easy mode for you, though if you can’t figure out a puzzle, difficulty setting doesn’t make a difference and to the internets you go. Part 1 could’ve been a bit longer(took me like 8hrs my 1st time through), but part 2 fixes that(took me like 20hrs my 1st time through). There’s no camera control, but you don’t really need it, the games are smart about where to angle the views, keeping things cinematic without hampering the gameplay, but I’ll catch myself hitting the right stick sometimes out of habit. The Ugly – Medusas, check….Ogres, check….Hydras, check…most of these greek mythology monsters aren’t pretty, that’s for sure. PS3 Slim/Price Cut Semi-Confirmed *update* Make That Confirmed! This has probably been one of the worst kept secrets of the industry of the last few years (internet sez hi). On Destructoid there’s a post that links to K-Mart’s website teasing the PS3 Slim with a lower price. Also mentioned is that it’s shipping with a 120GB hard drive on August 24th, possibly at $299.99. Sony has some event scheduled today at 12:30pm eastern, this is probably when they’ll announce it. I look forward to seeing if the Slim design is the one we’ve been seeing for months on the big boy game blogs. So yeah, check out any of the blogs and it’s there, $299 and the Slim(w/120GB HDD) dropping the 1st week in Sept. Check out the Joystiq gallery for hi-rez pics. August 18, 2009 Posted by richieraw | Normal Stuffs	| destructoid, k-mart, Playstation 3, price cut, ps3, ps3 slim, Sony | Comments Off on PS3 Slim/Price Cut Semi-Confirmed *update* Make That Confirmed! Xbox Live rumor…will the real V.I.P.s please stand up? I just came across this article via xbox-scene.com. It details some interesting features that I’m sure will be welcome to the current service, online storage and game invites to the silver cats are some. I say current cuz it’s not something I’m willing to pay extra for, especially since I hardly online multiplay anyway. 50 bux a year ain’t bad for a reliable service that’s fully integrated into all 360 games…but honestly I’d rather that money go to another game a year, especially in these crazy economic times. Sure the PSN(playstation network) is nowhere near as good as xbox live, but it’s free and gets the job done in the rare case that I wanna hop online against other cats. It’s not like Live was never without it’s troubles. I just think if microsoft adds these types of features to the current gold service, they can continue to be the king of online console gaming, and that’s cool with me. April 18, 2009 Posted by richieraw | Normal Stuffs	| Playstation 3, Playstation Network, Xbox 360, Xbox Live | Comments Off on Xbox Live rumor…will the real V.I.P.s please stand up?